All I can say is the fishing has not been this good all year!! I had the pleasure of fishing with Ryan and his crew today and it was just plan rediculous! We caught 103 speckled trout and 100 white trout by 9:04! Ran out of shrimp tied marsh works plastics on and finished our 125 trout limit by 10 sharp! I also took three other trips Darin and his assitant on sunday and we had 75 in the boat at 7:15 Am! Tuesday I had chaz, steve, and Chris from slidell and we smoked the fish on plastics NO LIVE BAIT and had 100 at 7:55 The fishing this August is just unreal, its so good that i can guarantee a limit to anyone that books a trip with us! The weather is not to hot and we have been back to the dock by 10 or 11 everyday! Come get on this hot action while it lasts! Give us a call and we will put you on a fishing trip of a lifetime! The largest member of the drum family, redfish, Sclaenops ocellatus, are widely sought by recreational fishermen, and until 1988 were an important commercial and popular restaurant fish. Prior to 1977, the recreational fishery for redfish was unregulated. That year a combined daily limit of 50 was placed on redfish and speckled trout. Additionally, sportfishermen were limited to no more than 2 redfish over 36 inches in length. In 1984, the possession limit was reduced to the daily limit and a new saltwater angling license was instituted. A minimum recreational length of 14 inches was set in 1987. In 1988, the creel limit was reduced to 5 redfish with only one fish over 27 inches allowed, and the minimum size was set at 16 inches. What follows below are some of the most commonly asked questions about redfish. Exactly why was the redfish fishery so heavily restricted? 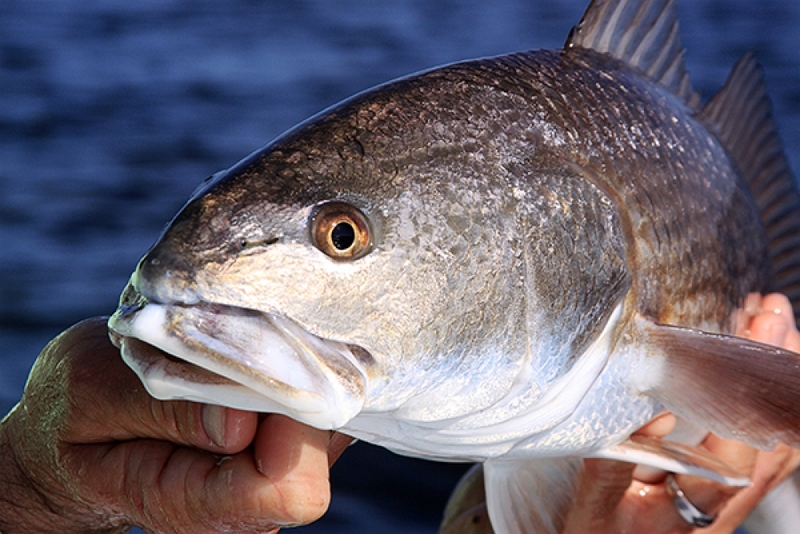 Mature spawning- size redfish occur mostly in offshore waters. Initial stock assessments of these fish in 1985-87 found a relatively large population. However, at least three year-classes were lower than what was expected. These fish were spawned in 1975,1976 and 1977. The number of fish in year-classes spawned after this time were also not as strong as expected. Contrary to popular belief, the offshore purse seine fishery was not the cause of this problem. The growth of the purse seine fishery, however, is what prompted scientists to do the stock assessment. If the fish in these year-classes were overharvested, it occurred in inshore waters by inshore recreational and commercial fishermen. This meant that the damage was done by 1981. The “blackened redfish craze”, also commonly believed to have caused the problem, didn’t really take off until 1983. During the 1980 to 1988 period, commercial fishermen took an average of 28% of the redfish and recreational fishermen harvested 72%. What has been the effect of the 16-inch minimum size on red fish? Before the minimum size was put in place and the creel limit was reduced, the average weight of recreationally taken redfish was 2.02 pounds. After the regulations were in place, the average weight increased to 4.41 pounds. In fact, prior to the minimum size limit, more redfish were taken by recreational fishermen at 11-inches than any other size. Why have a 27-inch maximum size? 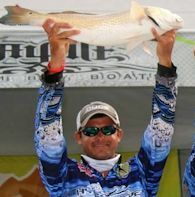 The purpose is to reduce pressure on spawning size redfish. Redfish begin spawning at an average of about 26-inches. By that size, most of them have moved offshore. If redfish were managed like many other fish, (such as speckled trout) with a minimum size large enough to allow them to spawn at least once before being caught, there would be very little of an inshore fishery. Will redfish become even more plentiful in our marshes than they are now? Not likely. Even though redfish live as long as 40 years, the number of redfish in inside waters depends on the success of the last three spawns before the year in question. Redfish spawn from late August through October. At one year old, they will range from 10 to 17 inches long, averaging 14 inches. At 2 years old they will range from 18 to 24 inches, and weigh 3 to 6 pounds. At 3 years old, they will range in size from 20 to 28 inches, weighing 4 to 9 pounds. Then they leave. Even though a few larger fish remain inshore, after age three, redfish show substantial movement to offshore waters where they ultimately join the schools of spawning “bull” redfish. Even if we had 10 great spawning year-classes in a row, inshore fishermen will catch fish mostly from the last three, and only keep fish from two-year classes, since the fish from the last spawn will average under the legal size. The excellent fishing of 1993-94 is the result of great spawning year-classes in 1990 and 1991. Not every year will be this good. In fact, most won’t, no matter how many spawners are offshore. Possibly two factors. First, on a long term basis, is the number of spawning adults. Like any other fish, if the number of adult (bull) redfish is reduced so low that they can’t supply enough eggs to restock the ecosystem, the result is a poor year-class. The current population of redfish shows no spawner-recruit relationship, which in simple terms, means that the population of adults is healthy. The second factor which influences year-class strength is environmental conditions during and after the spawn. Water temperature, sea level, the number of cold fronts, the amount of river discharge and salinity are known to affect year-class success. Other suspected influences are the right tide combinations to bring the redfish larvae (baby fish) inshore, the right food for the larvae and juveniles, the level of competition for the food, and possibly even the amount of predation on the young fish by other animals. Of course, the size, and health of our estuarine nursery grounds is also important. With the exception of the last two factors, most of these environmental conditions are beyond man’s control. 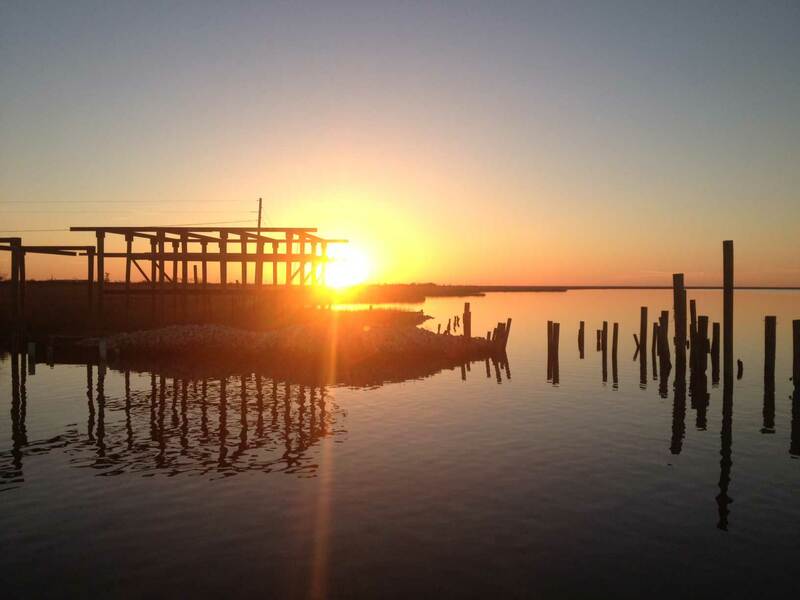 What is the current biological condition of the redfish fishery? The current target set by the National Marine Fisheries Service is for 30% of all redfish to escape from the fishery in inshore waters to achieve a 20% SSBR or “spawning stock biomass per recruit.” SSBR is simply the ratio of the total weight of mature fish in a fished stock to the total weight that would exist if the stock were unfished. Based on the latest Louisiana data, our SSBR is between 40 and 44%. If this data is correct, Louisiana’s escapement rate is at least 69%. Gulfwide SSBR should reach 20% by 1997. When gulfwide goals are met, federal waters may be reopened to redfish harvest. If neither state nor federal regulations are eased at that time, adult redfish will continue to increase (to a limit) in offshore waters, beyond the reach of most fishermen.